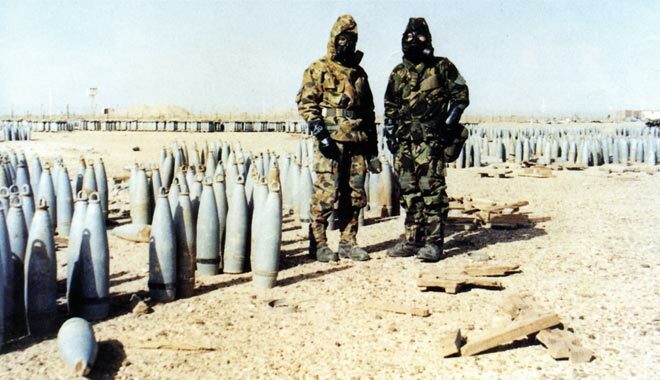 After the ceasefire in the war between Iraq and Kuwait in 1991 the United Nations supervised the location and disposal of Iraq's weapons of mass destruction and long-range missiles. New Zealand contributed medical and military personnel to the mission. Sergeant Wayne Evans (right) is shown here with an Australian soldier. They stand amidst 155-millimetre artillery shells filled with mustard gas at Al Muthanna.